The IT Policy Archive is published in accordance with direction from the Office of Management and Budget for the August 2015 Integrated Data Collection. 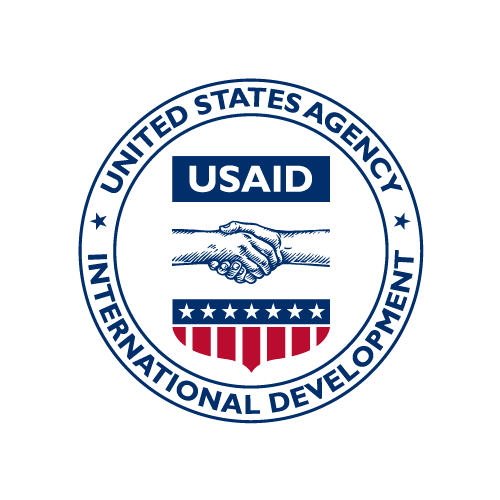 This dataset redirects interested users to the site on USAID's public facing web site that houses the IT Policies Archive. The Archive is published in accordance with direction from the Office of Management and Budget for the August 2015 Integrated Data Collection. Agency Secure Image and Storage Tracking System (Missions) is a Documentum-based user interface developed and maintained by the USAID OCIO (formerly IRM) to improve the efficiency and security of handling documents at USAID Missions and Washington." Adobe Connect Professional (branded by USAID as AIDConnect) has been deployed Agencywide to for all USAID users to meet and collaborate virtually in real time, anytime, anywhere around the world right from their desktop. Internal and Public websites were stood-up to support the use of the tool and to provide user community with as much information as possible. Customized On-Demand Training Modules were created to provide the users a broad overview of the product and its use. AidData is a research lab at William & Mary. They equip policymakers and practitioners with better evidence to improve how sustainable development investments are targeted, monitored, and evaluated. They use rigorous methods, cutting-edge tools, and granular data to answer the question: who is doing what, where, for whom, and to what effect? They believe that the global community needs a stronger evidence base to find signal in the noise as they target sustainable development investments, coordinate efforts, and monitor progress towards the UN's Sustainable Development Goals (SDGs). Towards that end, their research agenda catalyzes innovation in data, methods, and tools to help partners through five program areas: (1) Tracking underreported financial flows from opaque public and private donors, lenders, and investors who publicly disclose little about their spending priorities and activities; (2) Geographic and demographic tracking and targeting of sustainable development investments to ensure no one is left behind; (3) Understanding the priorities and perspectives of leaders in low and middle income countries, and measuring the performance of external development partners with open-ended and close-ended feedback data; (4) Rigorously evaluating the impacts and cost effectiveness of specific interventions and large investment portfolios with spatial data; and (5) Creating high-resolution, high- frequency measures of development outcomes, powerful spatial data integration and extraction infrastructure, and next-generation geospatial analysis tools. AIDtracker allows Missions to use a convenient, Internet-accessible application to store and manage information relating to projects, locations, and results. This information can be related to items such as implementing mechanisms, key issues, beneficiaries, site visits, photographs, or other key variables. This relatively complex array of data is organized and displayed by AIDtracker in an easy-to-use, manageable format. Portable and easy-to-use point-of-care (POC) diagnostic devices hold high promise for dramatically improving public health and wellness. In this paper, we present a mobile health immunoassay platform based on audio jack-embedded devices, such as smartphones and laptops, that uses electrochemical impedance spectroscopy to detect binding of target biomolecules. This platform is intended to be used as a plug-and-play peripheral that reuses existing hardware in the mobile device, and does not require an external battery, thereby improving upon its convenience and portability. Experimental data using a passive circuit network to mimic an electrochemical cell demonstrate that the device performs comparable to laboratory grade instrumentation with 0.3% and 0.5? magnitude and phase error, respectively, over a 17 Hz-17 kHz frequency range. The measured power consumption is 2.5 mW with a dynamic range of 60 dB. This platform was verified by monitoring the real-time formation of a NeutrAvidin self-assembled monolayer on a gold electrode demonstrating the potential for POC diagnostics. The USAID/OIG Audit Information Management System (AIMS) tracks OIG's audit recommendations and USAID's management decisions. OIG's in-house information technology experts and audit subject matter experts designed and developed the system to create statutorily required reports for Congress. The new system allows domestic and overseas users the benefit of realtime information and search capacity. It allows for the future possible integration of both audit and investigative databases. When fully operational, AIMS will include all audit report findings, recommendations, and management decisions, along with associated cost information.